Garage: "Driveway, Garage - Detached, Off Street, Paved or Surfaced"
Currently a 2 family home with the ability to convert to a fabulous single family! Located in the sought after South End of Portsmouth with high ceilings and beautiful natural light. c1900 property has been gutted and renovated into 2 nicely appointed units. Detached one car garage with storage above anchors a huge, paved driveway with tons of off street parking, a rare offering for the South End. 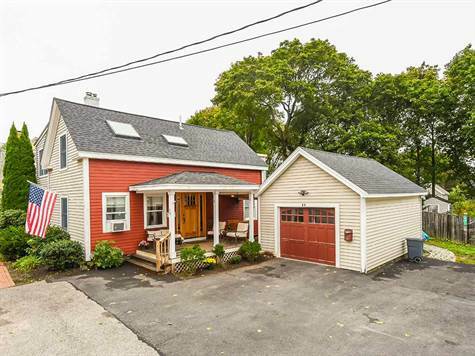 Relax on the front porch to watch the runners, walkers and cyclists flow through the South End or you can hang out in the fully fenced in, large back yard enjoying the peek-a-boo water views of the Piscataqua River. A wonderful 2 family with condo conversion potential or an incredible opportunity to have a good sized single family home with large fenced yard and great parking in the best location!